If you are hiring an aviation professional, Avjobs is the obvious choice. It has a ton of categories, but the main ones include pilot and mechanics. A Single Job listing on the site is $149. Have you thought about advertising your jobs on Avjobs? Unlimited Job Postings will help you find top talent and pivot to hit hiring goals with ease. Job Slots are easy to use — you post your open positions on Avjobs, and instead of buying another job posting every time you have a new role, you can swap out one of the jobs you had already posted and re-use your slots. And, you can cancel your monthly subscription at any time! Advertise your jobs on an ongoing basis; swap out, pause, remove and restart a job slot at any time. This means as your hiring needs change whether daily, weekly or monthly you can easily manage all your recruitment needs. Why did we do this? Avjobs is hoping to help aviation businesses everywhere recruit more flexibly. Hopefully, Job Slots allow more control over your recruitment needs. Employers can now swap jobs in and out of slots based on immediate recruiting needs without paying more money. Unlike a single job post that only allows 1 job posting at a time, our Unlimited Job Postings job slots allow for truely unlimited job postings and can be constantly updated, changed or cancelled! Other benefits of these Job Slot packages (that come in packages of 1, or Unlimited) is access to Your Dashboard. With Your Dashboard, you can review performance metrics like number of views, apply starts and job grader. Q: Are there differences between a single job posting and Job Slots Unlimited Job Postings subscriptions? A: All jobs are shown to job seekers on Avjobs. You can save time and money with an Unlimited Job Postings subscription – to post all your jobs and swap jobs in and out any time! Q: What if you don’t have multiple jobs to post today? A: No worries! The slots are there for whenever you have another job to post. And if you needed a little added reassurance, you can always post a single job posting free. At Avjobs, we love our employers and want you to try us out for seven days, free of charge. Try it out for yourself today! The Avjobs weekly newsletter subscriber base is pretty big and growing faster than ever before. Now you can use it to get your jobs in front of our huge base with our new job insertion tool. Click “Add to Newsletter” on the job posting confirmation page. Your job title, location and a brief overview of your job will be sent to our newsletter subscriber base with a hyperlink to your job posting online. You’ll also receive a confirmation that your job was added to the newsletter and your Avjobs hosted RSS News feed. You can re-add your job to the newsletter every 30 days. 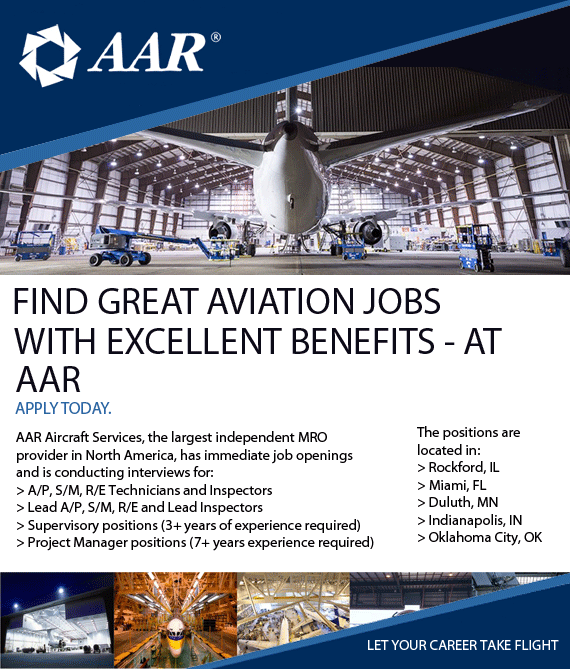 Avjobs is an easy-to-use, aviation-specific, job advertising site. You may purchase single or multiple job listings and choose between month to month and annual account terms. The form provided when creating the listing ensures customized targeting for your job posting.